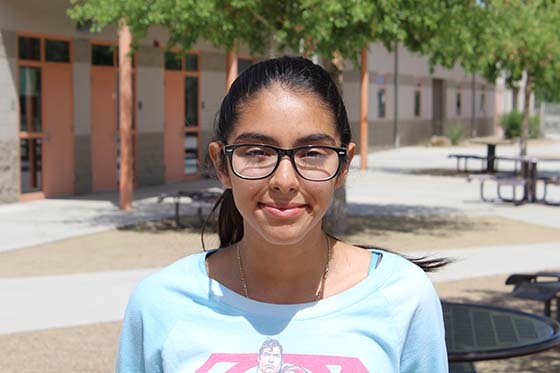 Samantha Guerrero Martinez excels in her science classes, but also plans to enroll in graphic design while at Tucson High. When she was at McCorkle, Samantha played violin in a mariachi band. Samantha is a fan of the University of Arizona, but she would also consider attending Arizona State University if it helped her become a surgeon, which is her goal after she graduates.